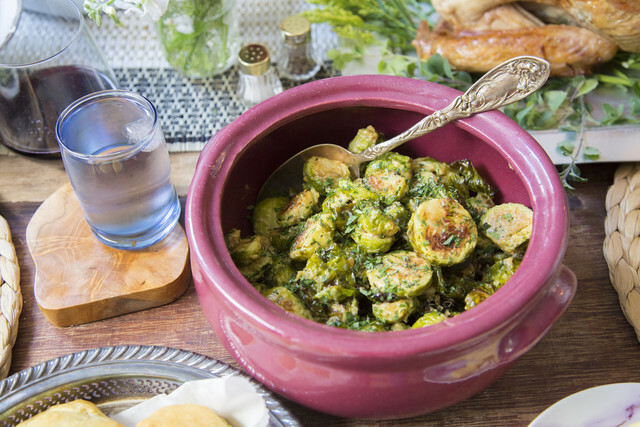 Let's take a look at what makes these cruciferous cuties so scrumptious! A member of the Brassica family, Brussels sprouts are a cruciferous veggie packing a powerful punch of nutrients. Cruciferous is Latin for "cross-bearing," and is representative of the small cross-shaped pattern on these vegetables' flowers. While no one knows their true origin, they are thought to be from Belgium (near Brussels!) and have been cultivated for over seven centuries. Brussels grow vertically on a stem and resemble mini-cabbages. Their taste and texture are reminiscent of broccoli and cabbage, also members of the brassica family! Their growing season favors colder months, making this a perfect ingredient to have on hand for hearty, vegetarian winter dishes. Brussels sprouts are rich in Vitamins K and C, nutrients necessary for adequate blood clotting and immune support. Their fiber content is also very high - at about four grams per cup of cooked sprouts, one serving gets you 1/5 of the way to the recommended daily value. 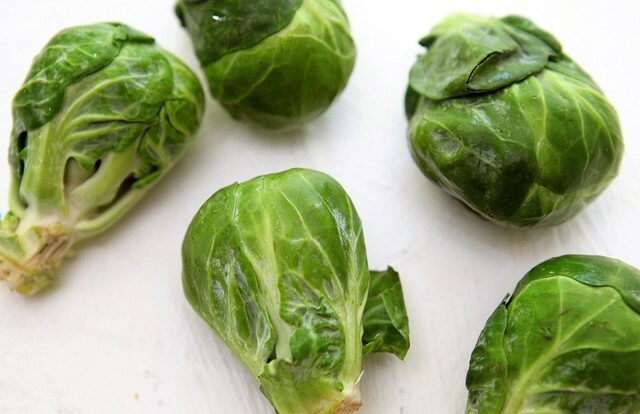 Brussels sprouts are also chock-full of phytochemicals beneficial in preventing chronic disease, and their low glycemic index means a slow, steady flow of energy rather than a surge and crash in blood sugar. 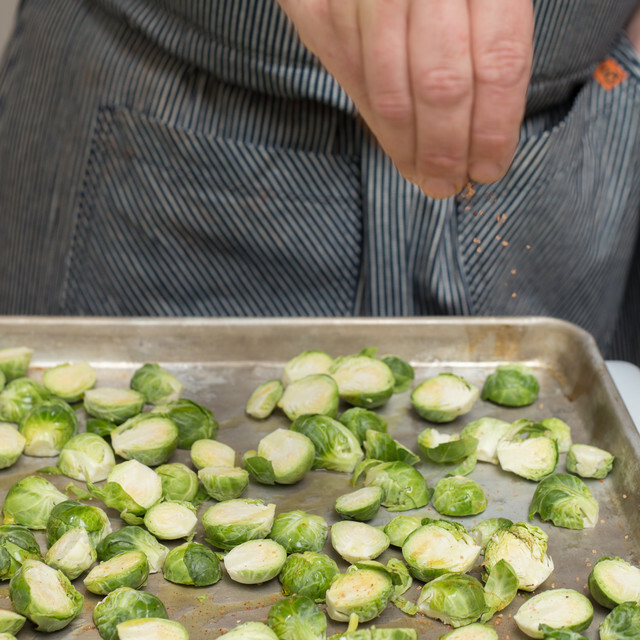 Brussels sprouts can be prepared multiple ways, but when overcooked, these beauties can emit a not-so-pleasant sulfur smell. Glucosinolates, compounds in many cruciferous vegetables, break down into more bitter compounds called isothiocyanates. One of these is sulforaphane the culprit behind the super-bitter taste of overcooked brussels sprouts. Despite it’s less-than-appealing smell, sulforaphane has been observed to have antioxidant properties when consumed.